Reports on ultra races are notoriously almost as long as the races themselves, so I’ll try to keep this brief ! The race itself is approx. 60 miles long (or longer if you go the wrong way), with about 11000 feet of ascent. 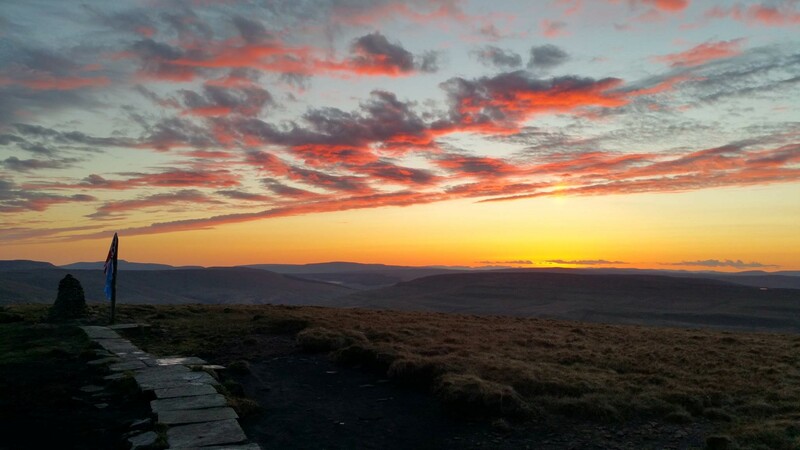 It starts in Ingleton in the Yorkshire Dales and goes up two of the 3 peaks (Ingleborough & Whernside) to start with & then winds its way around over a number of other peaks to finish in Threshfield. 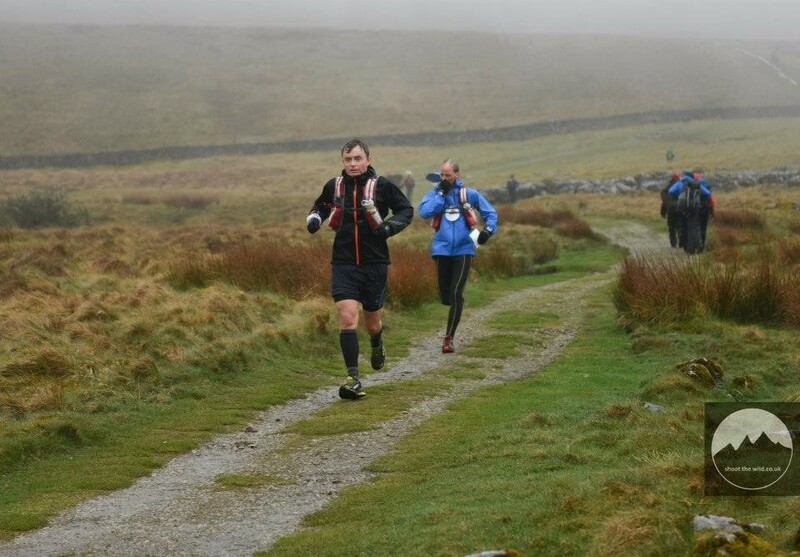 Somewhat bizarrely it’s run on the same day as the 3 Peaks race which Simon R & Jez did, although the start times are staggered so that we are out of the way before the fast boys come through. I’d entered the race as it was a counter for the UTMB (a race around Mont Blanc) but between entering & the date of the race they’d changed the rules & dropped it as a counter, but being stubborn and I’d also paid my entry fee, I decided to carry on & do the race. The first 4 & a bit hours were pretty wet so body cover was the name of the game. 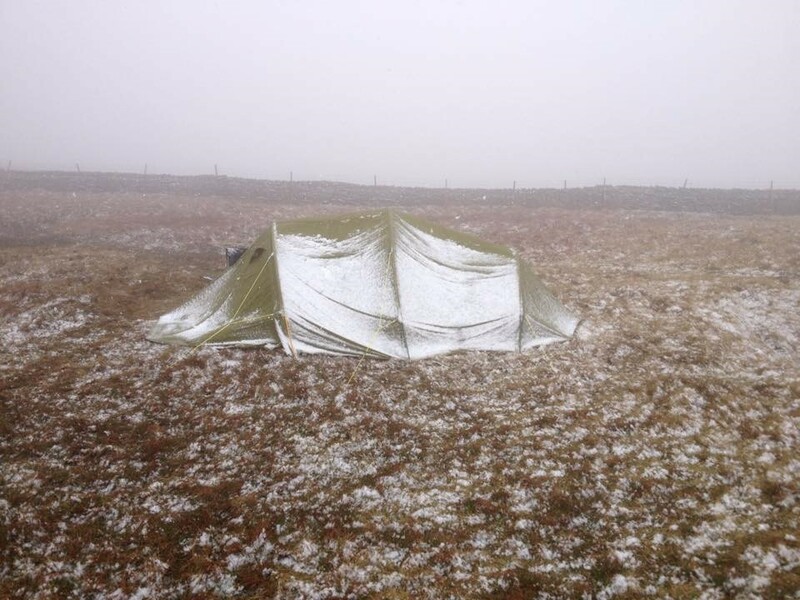 The tops were a tad challenging in places, but it was harder for the marshalls who had to make sure that we got to all the checkpoints & therefore had to be out in the weather, without the benefit of generating some heat. Usually just with a small tent for protection. Dark thoughts entered my mind about whether I would be able to finish if the conditions carried on this way, but I had to get to the Dent checkpoint at least because my wife was meeting me there, so it was time to MTFU ! 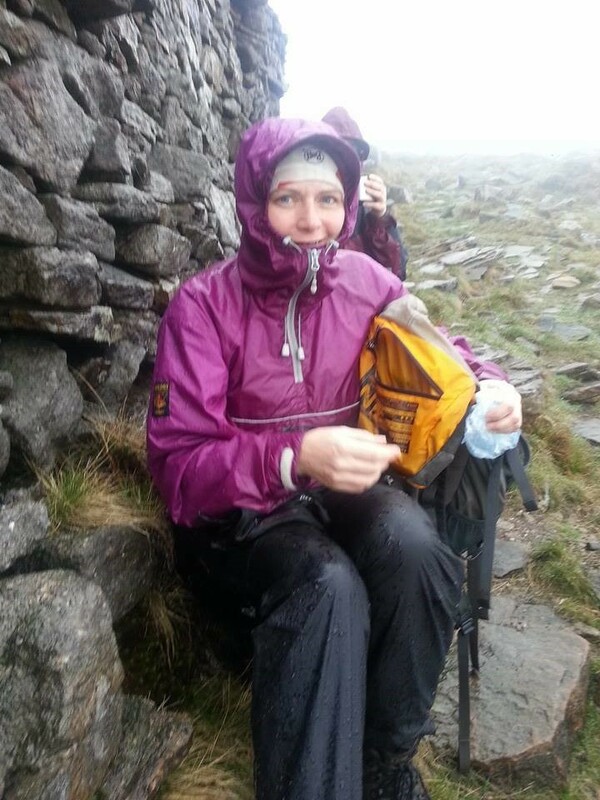 Luckily, around this point, the weather gods took pity on us and the wind/rain stopped, we filled ourselves with bowls of pasta, tomato & cheese, and suddenly by the half way checkpoint the world was a much better place. Meanwhile the day just got better & better, culminating in this sunset. 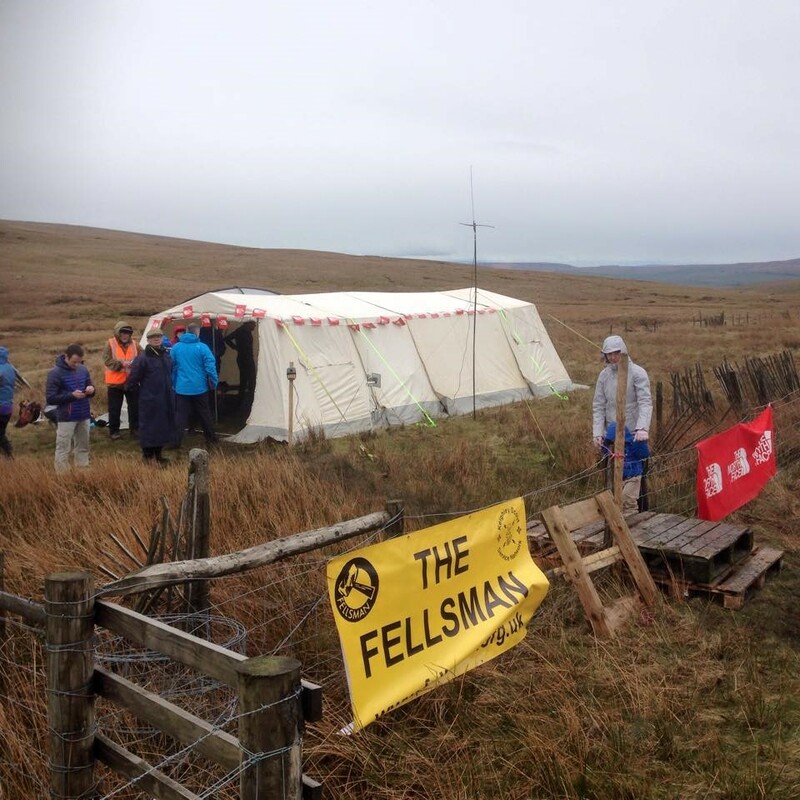 One of the unusual features of the Fellsman is that, as the night approaches, they get you to form groups with other runners; that way, if anyone starts to struggle the rest of the group can make sure that they are OK. So I became part of a group of 5, including the two at the front of this photo. The first guy had done the race before, and I had a GPS route of what remained, so we were pretty confident of finding our way home, barring any accidents. But the pace changed from going as quickly as you could, to the pace of the group in the dark, which was necessarily slower. 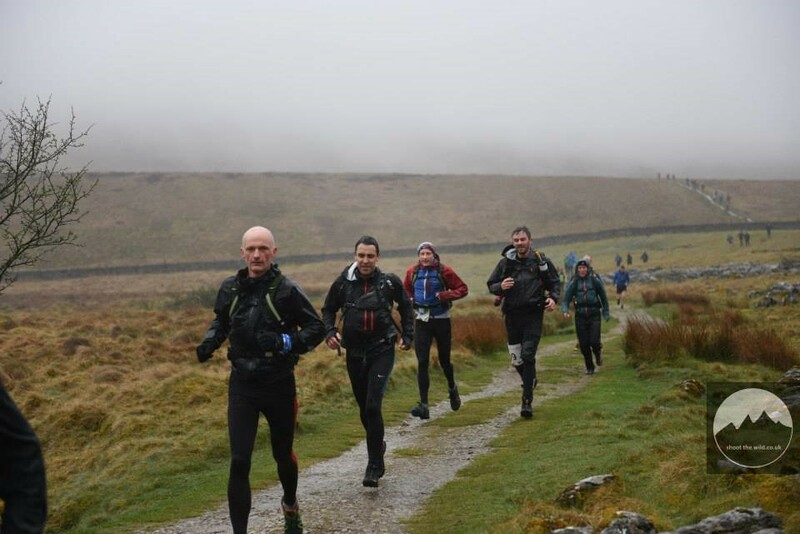 Having said that the time passed quickly as we chatted our way back to the finish point.